February | 2011 | Quilting my way through life! 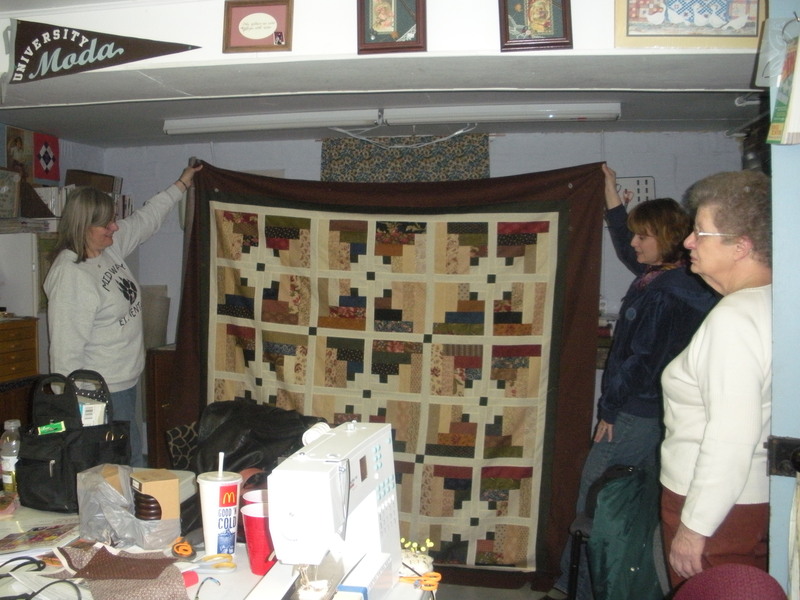 At my guild meeting this morning a group of us were chatting about Barbara Brackman and how I’ve been following her Civil War Quilts blog this year. This being the 150 anniversary of the start of the Civil War, Barbara has started a special blog to showcase an 8″ block each week. The pattern is on the blog as well as links to some of its history. By clicking this photo you too can be drawn into her love of history,and FABRIC! I own several of Barbara’s fabric collections and books. As a matter of fact I have a new quilt being quilted right now that will hang in my booth at Salt Lake City in May at Spring International Quilt Market made from one of her fabric collections! 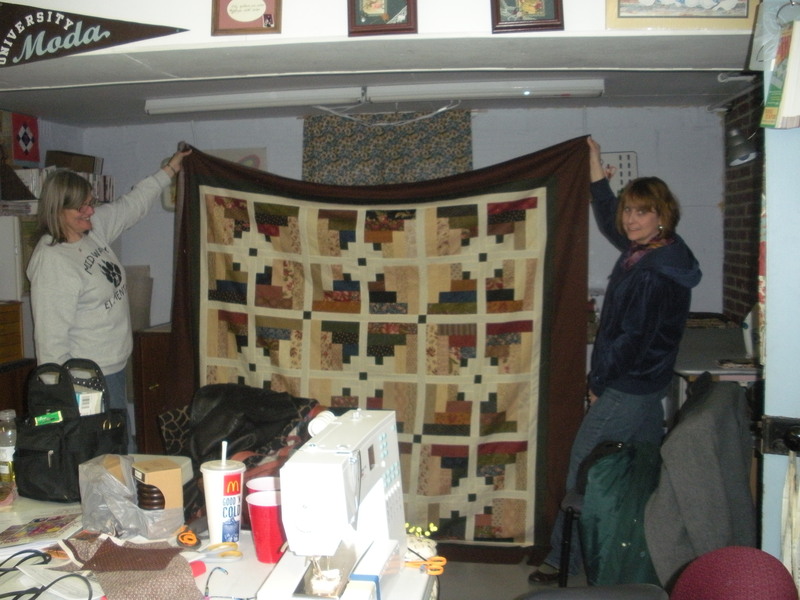 Come to think of it, I have a second quilt in progress with another of her collections. I’d be the first one to tell you I never did like history, but with the introduction of all of the lovely civil war era reproduction fabrics and all the quilting books being written I’m hooked! No, I’ve not started the blocks. With all the sewing I’m doing to get ready for market I don’t feel I have the time, but I’ve sure been tempted many times. Perhaps it’s a quick little weekly project that you would be interested in? The more I use them, the more I like them, pre-cuts that is. Do you all know what pre-cuts are? They are a way that fabric manufacturers are selling quilting fabrics that are ready to sew when you buy them. It seems every time I go to market they’ve come up with another term for yet another size or shape of pre-cuts! I first became aware of them being produced by Moda Fabrics. I’m not sure if they started them, or if because they are the most popular fabric company selling in my local quilt shops that we saw their’s first. I’ve always been intrigued with buying a bit of each fabric in a collection (collecting) so when the fat quarter bundles came out I was very excited. Then there are Turnovers, 80, 6″ Triangles of a collection, Honey Buns, 40, 1-1/2″ strips of a collections, and then Dessert Rolls, 10, 5″ strips of a collection. The best part of using these,aside from being fun to buy, is that the cutting is done for you. I have a couple of lap quilt patterns designed especially for a jelly rolls and charm squares. I also have plans for a Christmas lap quilt using the jelly roll above plus yardage, so stay tuned! You can also find all kinds of FREE patterns to use these here http://www.modabakeshop.com/p/bakery.html. Moda, another word for love! 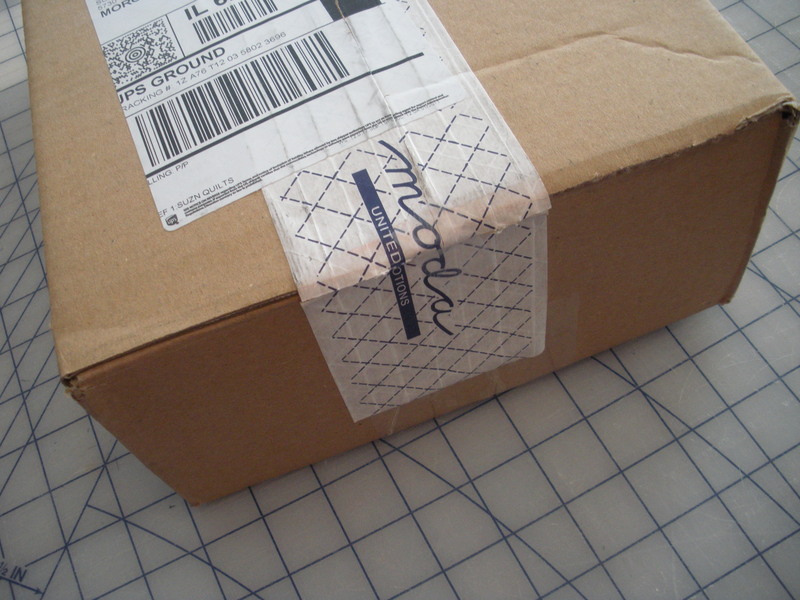 That Moda tape was a dead giveaway that today the package was for me! Not only that, it was going to be good! Last week I requested not-yet-released Christmas fabrics for some new ideas that I’m working on for Spring Quilt Market in Salt Lake City, Utah. Moda and other fabric companies generously send us pattern designers fabric to make samples to show off their new collections. This way, when shops are walking the show, they can see new ways to use the fabrics and hopefully buy more fabric and my patterns too. Thanks Moda!!! Sweetwater had the perfect collection for a new quilt design that I dreamed up. “Countdown to Christmas” is due out May, 2011. You can see the whole collection here. Now I need to stop drooling and get back to what I was doing before I was interrupted by that knock on my door! May will be here before I’m even ready. I’ll keep you posted to this newest design as I get to working on it. Ever have trouble threading a needle? 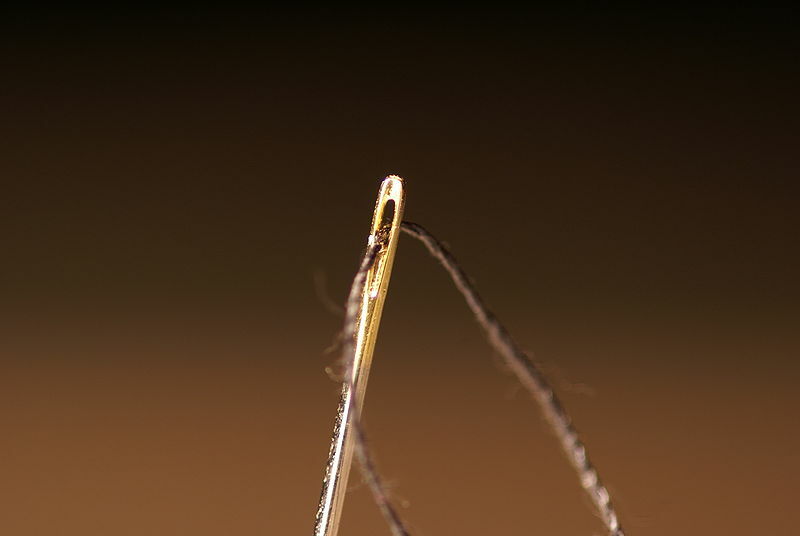 I always lick the end of the thread to get it to go into the eye of the needle easier, but I learned recently that if you lick the eye of the needle instead it actually works better! Try it, it works! I learned another trick a few years ago and that is the eye of the needle is punch from one side, so one side of the eye is easier to thread through. If you try and try and can’t get the thread to go through the eye, rotate the needle and thread through the other side of the eye. This is also true, try it! I hope this alleviates a bit of frustration for you as it has for me. It’s that time of year when winter really sets in. The days are short and I can’t turn on enough lights to brighten my sewing room. It’s so cold outside that I don’t want to go out. We’ve already had enough snow days that the kids no longer have to make any more of them up. There is a cure and it’s spelled Q – U – I – L – T R – E – T – R – E – A – T!!! We’re fortunate enough that a local quilt shop, Rosemary’s, housed in an older home with living quarters upstairs, is available for retreats. The last several years, Kathy & I have planned a January retreat. 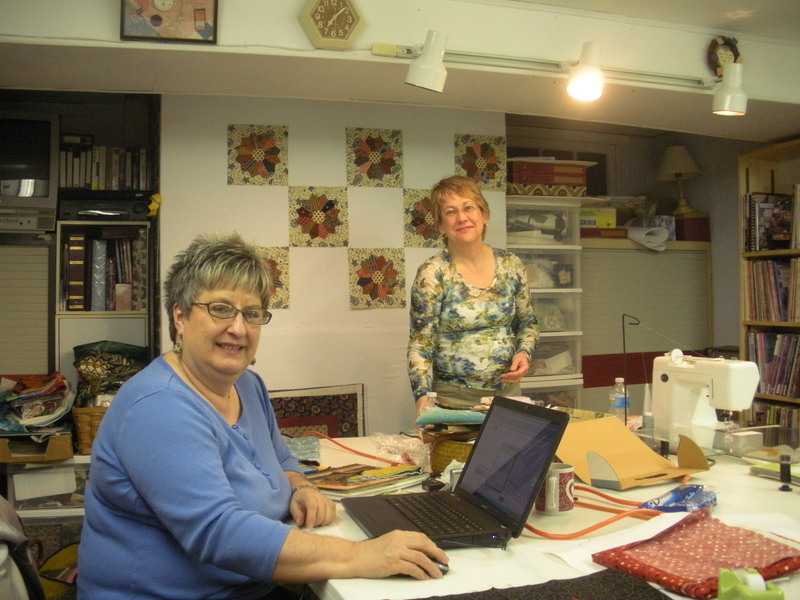 Rosemary will teach classes if you want, but our group goes to work on our own projects. Secure a date, round-up some friends…and SEW, SEW, SEW!!! This year Robin was able to join us from North Carolina, along with Kathy & Susan. Beth completed a top she worked on during our last retreat, Chris is helping show it off. 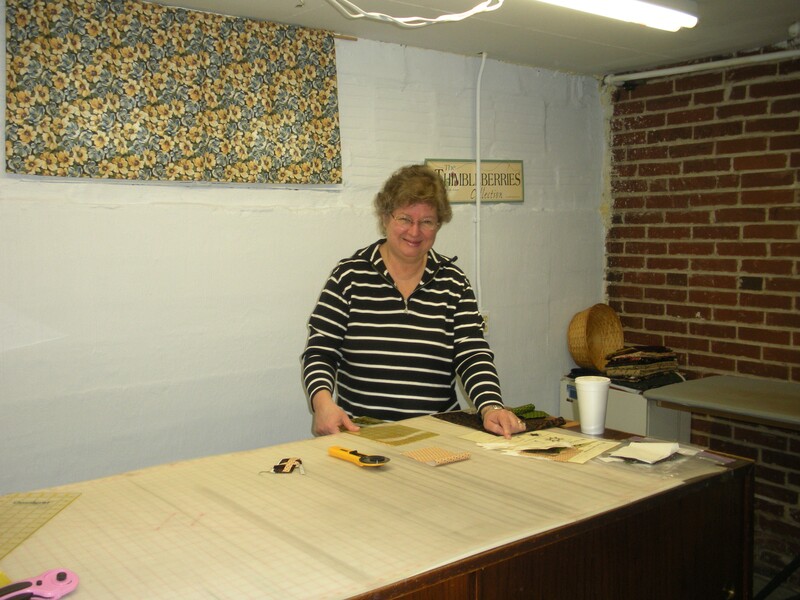 Loraine, gets more done than anyone, and always with a smile. I also made a bunch of mini Dresden plate blocks. I LOVE these. They’re so much fun to assemble! I have 24 made now. I’ll keep you posted as to their progress. We had a lot of fun. The biggest decisions were where to eat. Mexican, Italian, Chinese, American, they’re all there in the small town and most of them within walking distance. Since it was so cold, we didn’t waste too much time doing that! 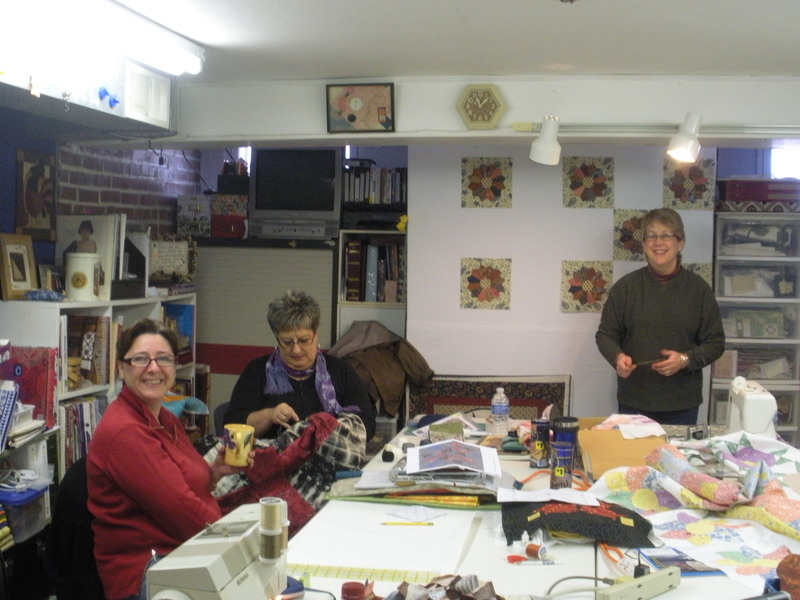 Perhaps you could organize a retreat for you and your sewing friends.